With this website we aim to help you find all the information you need at the click of a mouse. We use it to keep you updated on practice developments and news such as results of patient surveys, health campaigns and new services. To really make the most of our online services, register for SystmOnline at reception to order prescriptions and book appointments online. Join us for the PPG Annual General Meeting at the Practice on 9th April 2019 at 5.30pm. This is a group for any patient of the Practice. 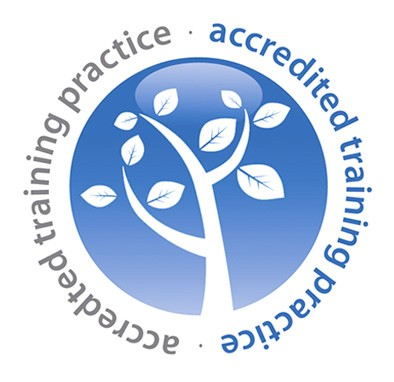 It is a voice for patients and aims to influence practice development and help introduce positive changes. All patients are welcome to attend! After reviewing our same day clinic staffing structure and in order to optimise availability of routine pre booked appointments, when we are adequately staffed for same day clinic, on few occasions we will have routine pre bookable clinic running alongside the same day clinic. Patients who need help with day-to-day living because of illness or disability can now get information and support online. There is new guide to social care on the NHS website that contains information for people who might need social care. 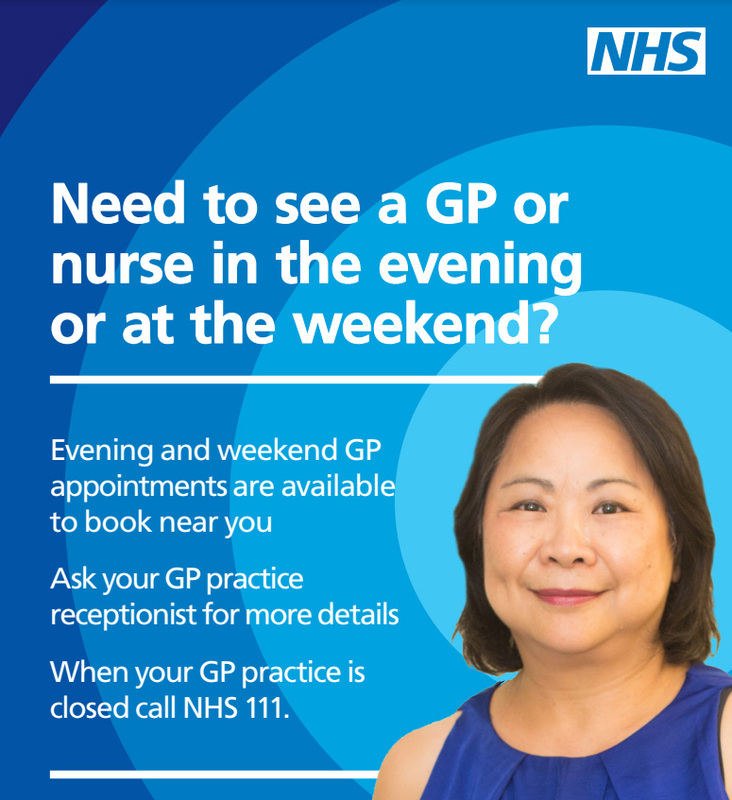 Did you know you can now book routine GP and Nurse appointments in the evenings, at weekends and over bank holidays in your local area? Pre-bookable appointments are available Monday-Friday, 6.30pm-8pm, plus weekends and bank holidays and you can be seen by a GP, Nurse or Healthcare Assistant. To book your appointment, contact Highcroft surgery during normal opening hours. Please be aware that the appointment may take place at another GP Practice in the area. Are you a carer? Our carer champion at the surgery is Julie Corrigan. We host a drop in 'Carers clinic' every 2nd Thursday of the month at the surgery between 10am - 11:30am. There is no need for an appointment and they are able to advise on any support you feel you may need as a carer. For further information and support please visit the below links. We hold a Same Day 'Sit & Wait' Clinic on Mondays, Tuesdays and Fridays between 08:00-10:30hrs for urgent non-life-threatening problems that need treatment on the same day. We hope this system will allow us to meet patient needs. Appointments are not needed for this clinic, just walk in where the clinic will provide you with sit and wait access to assessment, advice and treatment of an urgent health problem. On arrival at the surgery, patients are asked to kindly present to the reception desk where you will provide the receptionist with your name, date of birth and address as well as a brief history of your presenting urgent problem. This information is needed in order for the clinical team to decide who will need clinical priority. If you wish for your information to remain private, there is a private side room you can go into. Please note there may be a queue of patients waiting to check-in so; your patience is greatly appreciated. Suspected broken bones - we have no x-ray facilities. Routine / on going health issues e.g. blood tests / suture removal / health follow-up - please arrange a routine advance appointment with GP / nurse of choice for these. Dental problems - please visit your dentist who will be able to advise and treat the problem. Emergencies such as chest pain, severe shortness of breath or loss of consciousness - please dial 999 in the first instance. Please remember there are other options to consider if your health problem is minor and you are not able to pop down to us between the above stated times. Pharmacy First are able to treat conditions ranging from earache to vaginal thrush and you do not need to make an appointment to join and access this service. There is also the option of calling NHS 111 (free phone line) where you can speak to a trained advisor who can then direct you to the best medical care. To enable this service run effectively, we will only be able to discuss and treat one problem. When all is running well, the average waiting time is 45 - 60 minutes and of course some people will wait no time at all. However, when there have been patients with complex issues and other emergencies, the Same Day 'Sit & Wait' Clinic can run late. Routine face to face or a telephone consultation appointment with a GP or ANP can be booked up to 28 days in advance as usual. Telephone lines open at 08:00 from Monday to Friday. GP appointments are also available to book on-line. Please visit appointments section for more information. Prescription request put in before 12 o'clock will be ready within 48 hours. Any request put in after 12 o'clock will be ready within 72 hours. Thank you.